Your favorite Blueberry loving Genetic Genealogist will be presenting Workshops on Friday June 1st at the Ontario Genealogical Society Conference in Guelph, Ontario. DNA and adding your DNA connections to a Global family tree. Attempting to breakdown brickwalls using DNA can be daunting. Which “Global” family Trees are truly capable of connecting you to your DNA matches? Which is best for the kind of DNA test taken? How do each of the Global Family Tree’s propagate DNA results? How do you find matches and make connections on these Trees? 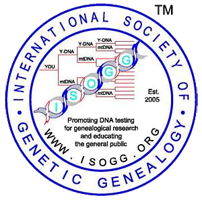 Working across all DNA testing Companies and all Global Family Tree Sites we will look at which “Global” family trees work best for DNA. Via hands on work, participants will work through the process of making DNA connections and help to get their DNA Global Family Tree connections working for them. – Computer Skills are essential to this workshop.